Pictured from left to right: (front row) Jann Lowder, Vice-Chair, State Board of Community Colleges and Stanly County Commissioner | Joe Morton | Bryan Morton | Jack Morton | Dr. John Enamait | Nadine Bowers | The Honorable Justin P. Burr, North Carolina House of Representatives (District 67) | Robin McCree | and Tony Dennis, SCC Foundation Board Member and Stanly County Commissioner. Back row: Bill Lawhon, Vice Chairman, Stanly County Commissioner | Chris Bramlett, Vice-Chair, SCC Board of Trustees and City of Albemarle Councilmember | Scott Efird, Chairman, Stanly County Commissioner | G.R. "Ronnie" Michael, Mayor of Albemarle | The Honorable Tom McInnis, North Carolina Senate (District 25) | and Peter Asciutto, Stanly County Commissioner. Stanly Community College (SCC) Board of Trustees, SCC Foundation Board, faculty and staff, Stanly County Officials, City of Albemarle Officials, as well as community members, gathered to celebrate the dedication and open house for the Morton-Moffitt Cosmetology Center on Monday, October 17, 2016. Nearly two-hundred people gathered outside the Center for the dedication and ceremony. The ribbon was cut by members of the Morton-Moffitt family. A reception and tours of the new facility concluded the ceremony. The naming of the new Center is in memory of Claude and Bethie Morton and Jerrie Sue Moffitt-Morton, parents and late wife of Mr. Jack Morton. SCC Board of Trustees Chair Nadine Bowers welcomed the guests and thanked everyone for attending. She acknowledged many individuals who were instrumental in bringing the Center to fruition and expressed a special thank you to SCC Board member Tom Hearne and former SCC Board member Jim Nance for their commitment and direction during the planning stages of the new Morton-Moffitt Cosmetology Center. SCC Executive Vice President of Educational Services Robin McCree talked about the Morton-Moffitt family legacy and how fortunate SCC is to have the family's support and generosity. "From the humble beginnings of a three-room schoolhouse to pursuits of higher education, the legacy of bettering oneself through education is one that the Morton-Moffitt family has carried throughout generations," she explained. David Smith, SCC Cosmetology Program Head, who graduated from SCC's Cosmetology program in 1998, stated, "We encourage you to visit us to witness firsthand the state-of-the-art equipment that the students will be learning with." Mr. Smith announced the Jerrie Sue Moffitt-Morton Award that will be given annually. The recipient for this award will personify the spirit of the award's namesake and will demonstrate an ability to overcome adversity, maintain integrity, and keep clients' needs as their priority. Furthermore, the chosen recipient will exude a charismatic personality, always making others feel at ease and welcome. The recipient will be known for putting others before self while also possessing a fighting spirit when faced with life's negative circumstances. Mrs. Jerrie Sue Moffitt-Morton leaves behind an enormous legacy, and this recipient's qualities will resonate with the aforementioned attributes that set Mrs. Moffitt-Morton apart from others. Dr. John Enamait, President of Stanly Community College, gave closing remarks and thanked all who attended the dedication. "This is a momentous day for the College, Stanly County, students and prospective students. The Morton-Moffitt Cosmetology Center will benefit students and their families for many years to come," he noted. Dr. Enamait added that the North Carolina State Board of Cosmetic Art Examiners awarded the facility a score of 100. All salons and schools are graded using the Board's System of Grading Beauty Establishments. Christy Bogle, Executive Director for the SCC Foundation, said, "The Stanly Community College Foundation is grateful for the generosity of Jack Morton and his brother, Joe Morton. 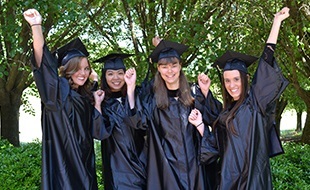 Over the years, the Morton family has contributed to the College and our students in multiple avenues of support including providing scholarships. Today, we celebrate with Jack Morton and are honored and appreciative that he has invested in Stanly Community College in such a significant manner." According to a recent study from the Centralina Council of Governments, Personal Care Services is expected to grow in Stanly County by 17.4%. The 12,000 square foot Center will sustain the College's ability to train the next generation of personal care and cosmetic arts workers in Stanly County. The Center is comprised of three main classrooms equipped with smart boards, a 16-station manicuring clinic with state-of-the-art Pedi spas, a main clinic area that is furnished with 49-stations, a private facial room, a reception area, laundry room, chemical dispensary, conference room, faculty/staff offices, and a large student lounge. Program options include: Associate in Applied Science degree, diploma, and certificate; Cosmetology Instructor certificate, Manicuring Instructor certificate, and Manicurist Technician courses. Continuing Education courses are taught throughout the year. SCC also offers a high-school pathway for all Stanly County high-school students that is tuition-free and taught at West Stanly High School. Registration for Spring 2017 classes is now open and classes start on January 10, 2017. The Morton-Moffitt Cosmetology Center is open for business. 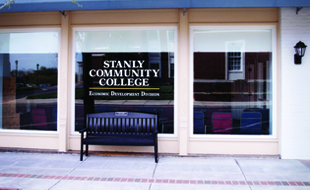 For a complete list of operational hours, prices and services, visit https://www.stanly.edu/future-students/educational-offerings/cosmetology. 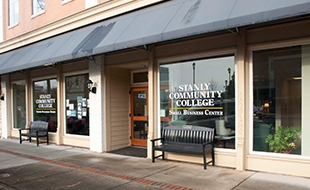 For more information regarding the Stanly Community College Foundation, contact Christy Bogle, at (704) 991-0370 or cbogle9678@stanly.edu. For a complete photo gallery of the dedication and open house event, visit https://www.stanly.edu/morton-moffitt-cosmetology-center-slideshow.